In 1975, Animal Liberation was published: in hindsight, a seminal work of philosophy, marking the birth of the modern animal rights movement – though its author spoke not of rights per se, but, as a utilitarian, in terms, put crudely, of maximising interests or happiness. The Australian author is now at Princeton and arguably the world’s most famous philosopher. He argues that some animals have a higher moral status than some humans and that our disregard for animal suffering is a deplorable moral blind spot. He also has contentious views on euthanasia, abortion, on infanticide, on civil disobedience and on how much we should give to charity. But Ethics Bites spoke to Peter Singer about how humans treat animals. 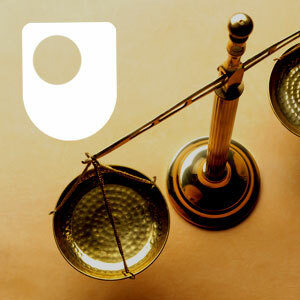 David: Ethics Bites is a series of interviews on applied ethics, produced in association with The Open University. Nigel: For more information about Ethics Bites, and about the Open University, go to Open2.net. David: In 1975, Animal Liberation was published: in hindsight, a seminal work of philosophy, marking the birth of the modern animal rights movement – though its author spoke not of rights per se, but, as a utilitarian, in terms, put crudely, of maximising interests or happiness. The Australian author is now at Princeton and arguably the world’s most famous philosopher. He argues that some animals have a higher moral status than some humans and that our disregard for animal suffering is a deplorable moral blind spot. He also has contentious views on euthanasia, abortion, on infanticide, on civil disobedience and on how much we should give to charity. But Ethics Bites spoke to Peter Singer about how humans treat animals. Peter Singer: Thank you Nigel, it’s good to be with you. Nigel: Now the topic we’re going to focus on is the ethics of using animals, both in food, or as food and in research. Before we start it’s probably best to get clear about what you understand by a person, because you distinguish a person from a human being. Peter: A person is someone who is aware of their own existence over time, is aware enough to realize that they’re the same being who lived previously and who can expect to live into the future. So most human beings are persons but none of us were born persons. New born infants are not persons. And some non-human animals are persons, but not all non-human animals are persons. Nigel: So what kind of non-human animal might be a person? Peter: A chimpanzee, for example, I think is probably aware of its own existence over time – so I think there’s good evidence that chimpanzees are persons. Nigel: What about adult humans who lack the mental capacity to think about their own past as their own. Would they not be persons? Peter: I think they’re no longer persons. They may have been persons and we may choose to respect the wishes they had when they were persons. But there comes a time at least if the body outlives your intellectual capacities to such an extent that you can no longer be aware of your past or even the idea that you have a future when you would cease to be a person. Nigel: Somebody listening to this who’s not a philosopher will say well look you can define a person you can define a human being, so what? Peter: Well absolutely, that’s quite the right reaction. Definitions don’t show anything, normatively. But I do think the idea of a being who can envisage his or her own future is morally significant, because if you compare the wrongness of killing a being who is capable of having some anticipation of the future, some desires for the future, perhaps even some projects to complete in the future, and you kill such a person who wants to go on living, you’re doing something wrong to that person which is something you’re not doing if you kill a being who is fully not a person and who can have no wishes or hopes for the future, and therefore you can’t cut off or thwart or frustrate those wishes for the future. So I think the concept of the person points to something that is relevant in the specific context of the wrongness of killing. Nigel: See to me, the issue of animals is whether they suffer or not. All kinds of animals are capable of suffering even if they don’t have conception of their life continuing. Peter: I totally agree – you brought up the topic of persons not me. I think the major issue about animals and how we treat them is that they’re capable of suffering. I don’t think it’s about the wrongness of killing them. Nigel: And it’s interesting that many of your critics focus on descriptions of a situation where you’re playing off a human being who’s less than a person, against an animal which is a person. Peter: I think that’s a tactic. Maybe it’s quite an effective tactic with some audiences. They try and say that animals in some circumstances deserve more consideration than humans do. It’s accurate that there are some situations, though I think they are quite rare ones, where that would be true, where the human was so intellectually disabled or incapable of understanding things where you would want to give preference to the non-human animal; it would have greater interest in going on living or not suffering in a certain way. But it’s really completely irrelevant to the vast majority of cases in which we are interfering with animals, that is where we’re producing them for food where obviously they’re suffering, and it’s not at all necessary for me to say that somehow they have the same let alone a superior status to humans to point to the fact that we’re inflicting unnecessary suffering on them, and that should be enough to make it wrong given that we’re not doing this in order to save human lives but just because we like to eat a certain kind of food. Nigel: Another concept that’s important in your work, not just the idea of suffering, but the idea of speciesism, the idea that it’s somehow akin to racism to treat other animals, non-human animals, in a way that we wouldn’t treat human beings. Peter: It’s not so much that we’re treating animals in the way we wouldn’t treat human beings. Because sometimes that may be appropriate, given that they have different interests, different capacities, sometimes we should treat them differently, just as we sometimes treat small children differently, and should treat them differently, from the way we treat older human beings. The point about speciesism is that we give less weight to the interests of beings who are not members of our species, simply because they are not members of our species; not looking at their individual characteristics, not looking at their capacities, or what’s good for them, or bad for them. But we just say, ‘well they’re not members of the species Homo sapiens, therefore we can use them for our purposes, our ends, we don’t have to treat them as if their ends mattered’. Whereas if we have a human being, no matter what the mental level of that human being, that human being’s life is sacred, that human being is an end in itself, we must respect the dignity of that human being and so on. That’s speciesism, to just take the species in itself as determinative of moral status. Nigel: But isn’t that just a good rule of thumb? When you see another person, you tend to think of them evolving over time, with a sense of themselves and a capacity to feel pain, in a way that a fish, like a haddock doesn’t. Peter: Well, for one thing not all of our encounters with animals are with haddocks. For another while I would agree with the first part of what you said that the human is certainly likely to have more of a self conception, more of an awareness of itself as existing over time, I’m not so clear that human beings are going to have a greater capacity to suffer. We know that non-human animals have some senses that are more acute than ours. Eagles have better eyesight, dogs have a better sense of smell, and so on. It’s not at all impossible that because of their need to live in sharp contact with the world, to evolve, that animals have capacities to feel pain that are just as acute or more acute than ours. We shouldn’t take it as a rule of thumb that humans always suffer more than animals and certainly not that human suffering matters more, which is really the point about speciesism. To say that even where we make no claim that the human does suffer more, nonetheless, the suffering of the human matters more just because it is a human being. Nigel: Now, the two main ways in which many of us use animals are as food, or in some kind of experimentation, possibly for scientific research, possibly research in cosmetics. You’re a utilitarian; that is you’re interested in maximizing happiness in some sense, or maximizing the interests of sentient beings, that’s what makes something right or wrong. Peter: That’s right. Whether all things considered and in the long run you’ve done what’s best in the interests of, or to satisfy the preferences of, all sentient beings. Nigel: It just complicates everything. Most of us, most of the time are actually most interested in other human beings. If you start including all kinds of animals, how do you work out what to do? Peter: I suppose it does complicate things a bit. Just as if you’re a white European in the 18th century, it probably complicated things to have to consider the interests of Africans which interferes with your profitable trade in slaves maybe. But even though it’s more complicated, it’s still something we ought to do. Now it is true that the calculations can’t be done with any precision at all, but I think that we can have some situations where we can make rough comparisons and where it’s pretty clear that we’re inflicting more suffering than is justified by the benefit that we’re getting out of it. And I would say one of those examples is factory farming. In factory farming, we confine animals in conditions that really for their entire lives make them miserable. They can’t satisfy their basic needs, neither physically in terms of moving round, exercising, having comfortable bedding, nor socially and psychologically in terms of mixing with the right kind of social groups suited for their species. Laying hens might be suffering for their entire lives, more than a year or so. Breeding sows might be in stalls also for pretty much their entire lives. And then you have to say, what do we get out of this? Well, we produce food a little more cheaply. I don’t think there’s much doubt that that’s not something that can be justified if we give equal consideration to the sufferings of the hens and the pigs. Nigel: But isn’t that just an argument for eating free range meat rather than factory farm meat? Peter: It’s an argument that says, a clear cut case is factory farming, and if you want to have something that you can say pretty much definitely is not justified because it exploits animals wrongly, then factory farming is the clearest case. That’s not to say that if you get into other forms of farming you may not still find things that are undesirable that we do to animals and you might still reasonably come to the conclusion that we shouldn’t be doing that. But it’s certainly not as open and shut or as black and white a case as it is with factory farming. Nigel: And presumably if you go down to eating game, animals that have lived in the wild that have been killed very quickly with gunshot perhaps - that presumably is more morally acceptable than eating free range meat which has to be taken to be slaughtered. Peter: I think that’s generally true. It will perhaps depend on particulars, how good a shot you are, how reliable you can put a bullet through the brain of a moving animal and kill it instantly rather than have it wounded and escaping. But if you are a good shot it’s better than go hunting for your animals than go down for a supermarket for it. Nigel: See, what I like about what you’re saying is that it’s so reasoned. Everything is consistent; you’re looking for an argument that makes distinctions based not on how you feel about killing or animal suffering, but about what the implications are rationally. Most people I’ve met who are vegetarians have a complete sense of revulsion about eating meat, or harming animals in any way, that they might not be able to justify rationally. Perhaps they’re not moral vegetarians? Peter: Some of them may be aesthetic vegetarians; that is they are repulsed by the idea of killing an animal. And I agree that there is something that does repel me about it. Even if I convince myself by the argument that we were just having, that if you have deer that are reproducing and there are no predators and they will die in winter from lack of food and they will die a slower death and therefore it’s ok to shoot them. Even if I were to convince myself of that, I still wouldn’t like the idea of watching that beautiful animal suddenly drop dead and be reduced to a carcass and a piece of meat. But speaking as a moral philosopher I do have to really consider whether this is just a ‘yuk’ response that we might have to other things that actually are quite defensible or justifiable or whether there’s a serious ethical reason for not doing it. Nigel: So do you believe that we should all be vegetarians? Peter: Almost all, I would say. If there is somebody who is living a traditional indigenous life, whether it’s an Eskimo who survives in a traditional way by killing fish, or Australian aboriginals who are still living a traditional life that might involve occasionally killing some animals, I would not presume to say to them you have to abandon this life and go and live in a city where you can earn money and buy your food in a supermarket. I think maybe that’s a somewhat different situation. Nigel: So in a sense those who aren’t vegetarians are immoral to a degree. But how immoral is it to eat meat? Peter: Well, compared to what, I suppose is what I would say to that. Yes it’s morally wrong. None of us are perfect I would guess. I don’t consider everything I do is perfect. So I’m not really going around stoning people for not doing the right thing, but I think part of living a morally good life should be having concern for the consequences of what you do, having concern for animals who are affected by your actions, and I think those things do say that you would be living a better life if you were a vegetarian. Nigel: For me that’s a very classical conception of philosophy, that you don’t just think it you live it. Peter: Absolutely. I wouldn’t still be doing moral philosophy if I thought it was just a theoretical game. When I was a teenager, I was very fascinated by chess, and I used to spend time looking at chess problems, white to move and mate in two, all that sort of thing. It’s great fun, great intellectual stimulation, fascinating thing, but I wouldn’t want to spend my life doing it. There must be things that are more important. And sometimes I think people doing philosophy almost reduce it to the level of solving the chess puzzle. Nigel: Now I live in Oxford where there’s a large building just been built specifically to do research on animals. That’s another way in which animals are frequently used that causes them suffering. But that’s defended in terms of the outcome. There are other ways of surviving because you could be a vegetarian. But how could you do medical research without doing animal experimentation. Peter: There’s quite a lot of medical research that is done without doing animal experimentation. A lot of medical research is done through trials with humans, and we’ve also greatly increased the amount of research we can do using tissue cultures, various things like that, partly as a result of pressure from the animal movement. But I’m not going to say that there’s nothing where we could learn something from medical research. Nigel: So you’re not an absolutist. You think there are situations in which it could be morally acceptable to use non-human animals for the benefit of human beings? Peter: It could be. I certainly couldn’t rule that out as a theoretical possibility. But I would have a very high bar to be cleared before you could go ahead and do that. And one of the reasons I would have a very high bar is that I think the whole institutional practice of research on animals has grown up with that speciesist prejudice that I mentioned before: that animals really don’t count, or don’t matter very much. And, therefore, if we want to find something out it’s not a problem to say get me 50 rats or get me 20 dogs. So that’s why I don’t want to justify the general practice of animal experimentation and I certainly don’t want to justify or defend what happens in the building you described that I know is very controversial in Oxford. Because I expect what is going on there is that scientists are carrying on their business as usual in which the interests of animals are not given anything like the weight that the interests of humans at comparable mental levels would be. Nigel: When you started writing about the suffering of animals, speciesism and so on, that was a very radical position to take. Things have evolved since then. There are many more people who go along with your reasoning. Do you think there will be a time in the future when people will look back and say “I can’t believe they were eating meat, I can’t believe they did experiments on chimpanzees”. Peter: I hope so. At least I hope they’ll say I can’t believe they were locking animals up in factory farms so they didn’t have room to walk around or turn around. And I do hope they’ll say I can’t believe what they were doing to chimpanzees. Indeed, we’ve almost got to that point now with chimpanzees. You look back on some of the things that were done not that long ago, 20 or 30 years ago, and people are quite horrified that those experiments were permitted. So we are making progress. I very much hope that we will continue to do so. Nigel: Peter Singer, thank you very much. Peter: Thank you Nigel, it’s been good talking to you. David: Ethics Bites was produced in association with The Open University. You can listen to more ethics bites on Open2.net, where you’ll also find supporting material, or you can visit www.philosophybites.com to hear more philosophy podcasts. Did you enjoy this? Why not try another episode of Ethics Bites? Who do we think we are when it comes to other animals?- asks Matthew Cole and Kate Stewart. Read now ❯Killers or carers? Ethics Bites is a fascinating and absorbing series of interviews covering topics such as animal rights, euthanasia, censorship and fertility treatment. The interviews are introduced by David Edmonds, while Open University philosopher and best-selling author, Nigel Warburton, puts the questions, rooting every subject in everyday dilemmas about how we should live. Many eminent academics have participated in this fourteen-part series such as a star trio of American-based professors, Michael Sandel, Thomas Scanlon and Peter Singer. This free course, A question of ethics: right or wrong?, discusses ethical and professional principles in sport and fitness environments. Working closely with individuals and developing relationships is an inherent and often satisfying part of the work of a sports coach or exercise instructor. However, it can bring about ethical and professional challenges and can sometimes place practitioners in a difficult or uncomfortable position, e.g. a confidence shared and/or personal dilemmas. The course considers good practice and certain ethical issues, in particular the relationship between the coach/instructor and individuals with a specific focus on power relationships. We also explore the responsibility of the practitioner to help develop character. Learn more ❯A question of ethics: right or wrong? Editor's note: The website Open2.net mentioned in this programme merged with OpenLearn in 2011.